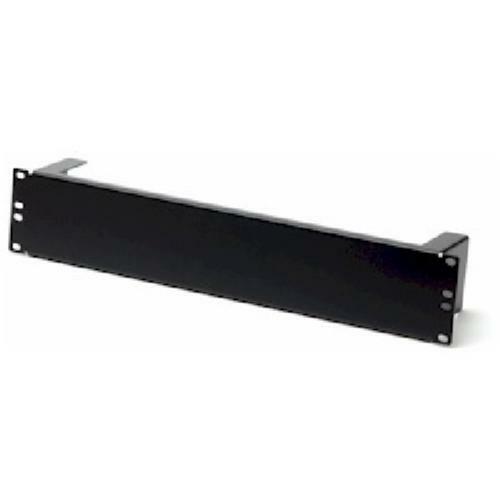 Rack-mountable support bar to simplify heavy UPS and server installations. The Rack Helper will hold the equipment’s weight while you line up the mounting holes. 500 lb weight capacity on top edge. 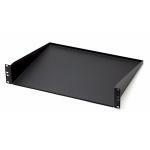 The Rack Helper can be used for installation assistance or to hold up the rear of a deep server chassis. It has a 500 lb. weight capacity on its top edge. Simply install the support bar and slide the heavy equipment on top while you line up the mounting holes and fasten screws. What does "In Stock" mean? We currently have 2 of this product (part number 1924-1-001-02A) in inventory and ready to be shipped from our Buford, GA warehouse. The stock counts reflected for each of our products are real-time numbers. We go through great lengths to keep these numbers as up to date as possible to be sure we have quantities on-hand and available to meet the needs of our customers. It is extremely rare that the stock quantity reflected here is inaccurate. What does "Ships Today" mean? If a product is listed as "Ships today", it means we have the product in stock and ready to be processed for shipping. If your order is placed before 8pm EST and you select to ship your order via UPS on a normal business day we will process and ship your order the same day, guaranteed. Our goal is to be as helpful as possible to our customers, so if there is a special shipping request please mention it in your order notes or give us a call. We will do our best to accommodate any request and all order notes are reviewed before the order is processed. What does "Call to verify availability" mean? When an item requests that you call to verify availability it usually means that we do not have a source for this item that is 100% reliable. That doesn't mean that we cannot get this item for you quickly; it simply means we are not confident enough to say that with complete certainty here on the site. (If we were to feel that we were not able to source an item at all, it wouldn't even be listed on the website). So, we just ask that you give us a call, or contact us via email or live help to verify the availability of this item. We can typically have you an answer pretty quickly. Or, it may be that we have an alternate item that we are able to ship right away. We would love the opportunity to assist you with your needs and look forward to hearing from you. What does "Qualifies for FREE Shipping" mean? This product (part number 1924-1-001-02A) qualifies for our FREE Standard Shipping offer. If your order total exceeds $99, and is made up of items that qualify for Free Standard Shipping, you will receive free shipping on the order, or those items. Basically, certain items in our store do not qualify for free shipping due to size or weight, and this is not one of them! As always, you are also free to upgrade to other shipping methods including Ground and Express services to have this item as quickly as 10am next business day. Everything you purchase from CablesAndKits is covered by a LIFETIME Warranty including a LIFETIME Advance Replacement Guarantee. We understand that in the event of a product malfunction or failure long downtimes are not an option. If you experience a malfunction or failure with a product at any point during your ownership we'll ship a replacement the same day you report the issue. We.ll even expedite the shipment if requested, with an effort to provide a delivery date and time that meets your needs.